Dinosaur Comics - February 11th, 2015 - awesome fun times! –I wanna eat food like three times a day!! 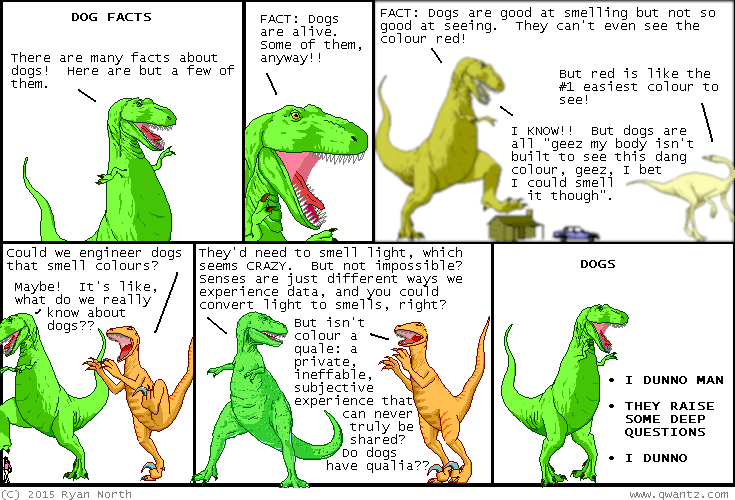 February 11th, 2015: Panel 3 is passed through a DOG VISION SYNTHESIZER so if you're wondering what Dinosaur Comics looks like to a dog, now you know: kinda sickly and gross!